The brief volume is written in a stream-of-conscious style. Readers who are expecting a straightforward comparison of science to non-science won’t find it here. Instead, they’ll encounter an unmethodical series of statements and illustrations and will be left to arrive at their own conclusions as to the definition. The bulk of the book details Sullivan’s theory of the existence of eighteen separate “states” of matter. As with the idea of “non-science,” these “states” are never clearly defined. Descriptions of each state are not parallel and not necessarily complete. For example, while states 1-3 (solid, liquid and gas) are described in scientifically provable terminology, the 12th state (reality) is presented only in a short series of philosophical questions in a single page. Sullivan’s mathematical formulas are accurate, and he takes pains to attribute definitions and quotes. One attribution, however, is to one of his own unpublished works, which is a highly unconventional practice. He freely includes many opinions and, in the end, adds a piece of original poetry. All in all, it’s uncertain whether the author intends this volume to pose a serious theory or be read as an imaginative work of absurdity, much in the style of Edward Lear. If the former, the book needs further work to make it more robust and credible. If the latter, the author needs to make that fact more abundantly clear to forewarn readers. 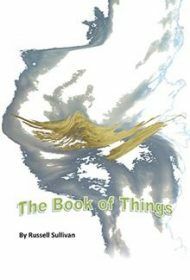 As it stands, The Book of Things is more likely to puzzle readers rather than enlighten them.